The Public Health Training Program on Population Health Advocacy (Advocacy Program) trains and inspires Fielding School of Public Health students to lead the way to systemic changes that will improve the public’s health. At the same time, we help build the capacity of Los Angeles County to engage in public health advocacy. The Advocacy Program was established in 2015 because we recognized that embedding advocacy into public health practice, research, programs, and interventions serves as a long-term investment for the public’s health. By December 2018, our Advocacy Fellows will have contributed more than 25,000 hours to public health advocacy in collaboration with nearly 30 organizations. Fellows have increased the capacity of organizations to create change. Community partners report that fellows are increasing organizational capacity, broadening their perspectives of advocacy, prompting advocacy to be incorporated into programs, and making an impact that will have a lasting effect on the community. The Advocacy Program goes beyond providing academic training to students, grounding them in the heart of public health advocacy and exposing them to real world issues. We work closely with each student to develop skills relevant for their own academic and career paths. Through partnerships with local community-based organizations, public health advocacy fellows work on advocacy projects that focus on health equity. Projects aim to address social determinants of health and health disparities and cover a diverse range of topics effecting under-resourced, high need areas of Los Angeles, including violence prevention, public safety, mental health, hepatitis C, HIV/AIDS, land use, environmental justice, reproductive health, emergency food systems, nutrition, healthcare, housing, incarceration, and poverty. Our advocacy programming is designed to broaden the scope of advocacy exposure and skill development both for our fellows and the FSPH community at large. These learning opportunities are provided through workshops and structured peer-to-peer learning. Workshops broaden exposure to advocacy topics, reinforce skills learned in the field, and introduce new concepts. Peer-to-peer learning opportunities provide support to students, build team cohesion, and develop leadership skills. Public Health Advocacy Fellows design and implement yearlong, school-wide advocacy campaigns focusing on violence prevention, thanks to the generous support of Jerry and Lorraine Factor. Students launch the campaign during orientation and continue to engage FSPH students, faculty, staff, alumni, and friends of the school throughout the academic year. Apply for the 2019 Public Health Advocacy Fellowship. Watch an Advocacy Fellow tell his story. Watch 2017 Advocacy Fellows describe what public health advocacy means to them and their experiences with the program. Connect with us to learn more about the program and for updates on the application process. This program would not be possible without the generous support of The California Endowment, the Max Factor Family Foundation, and Kaiser Foundation Hospitals. Michael Prelip, DPA, MPH, is Chair and Professor of Community Health Sciences. Dr. Prelip also serves as the Project Director of the Public Health Training Program on Population Health Advocacy and the UCLA Public Health Scholars Training Program. He has taught courses in leading community-based programs and conducted translational research projects, which are all community-based and public health focused, using a community engagement model. He has supervised the fieldwork of over 1,200 graduate students throughout his career. In this role, he has developed many relationships with local CBOs. Prior to joining the UCLA faculty in 1996, he worked for 15 years in community-based nonprofit organizations. Dr. Prelip brings extraordinary talent and experience in developing true community partnerships. Sarah Blenner is the Project Manager of the Public Health Training Program on Population Health Advocacy and the Director of Field Studies for the Department of Community Health Sciences at the UCLA Fielding School of Public Health. She also serves as evaluation manager of the UCLA Public Health Scholars Training Program, supports school-wide professional development efforts, and serves on the Equity, Diversity, and Inclusion committee. Sarah previously served as the Director of the Center for Diabetes Research and Policy at IIT Chicago-Kent College of Law, where she provided pro bono representation to individuals with diabetes, conducted educational outreach, promoted multidisciplinary collaborations, and developed policies. 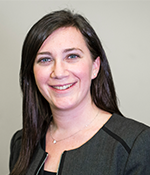 Sarah’s areas of interest include workforce development, experiential education, and the integration of health within cultural and religious frameworks, laws, and policies. Sarah is admitted to the bar of the State of Illinois and the United States District Court Northern District of Illinois. Sarah received her JD from IIT Chicago-Kent College of Law, MPH from UIC School of Public Health, and BA with high honors from Emory University.